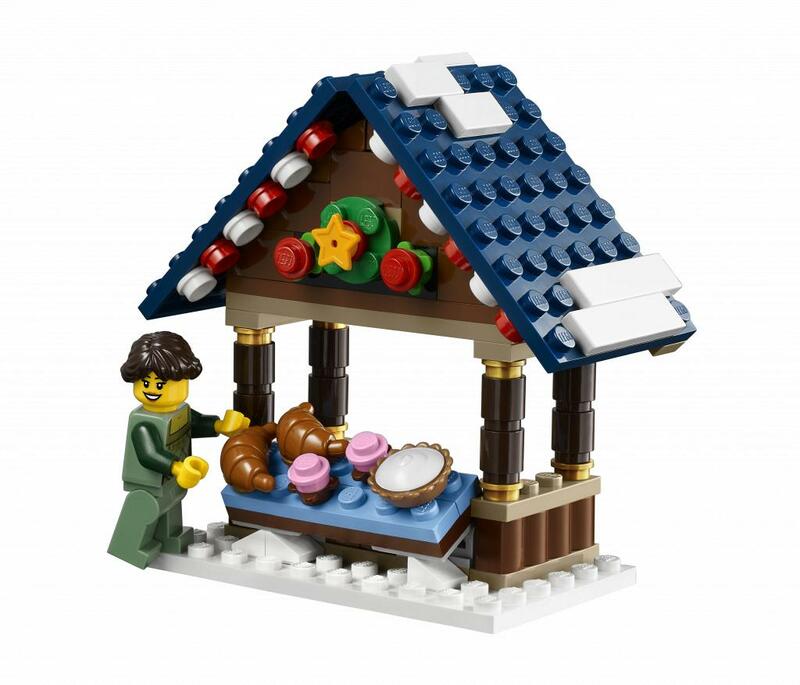 Winter Village Series. 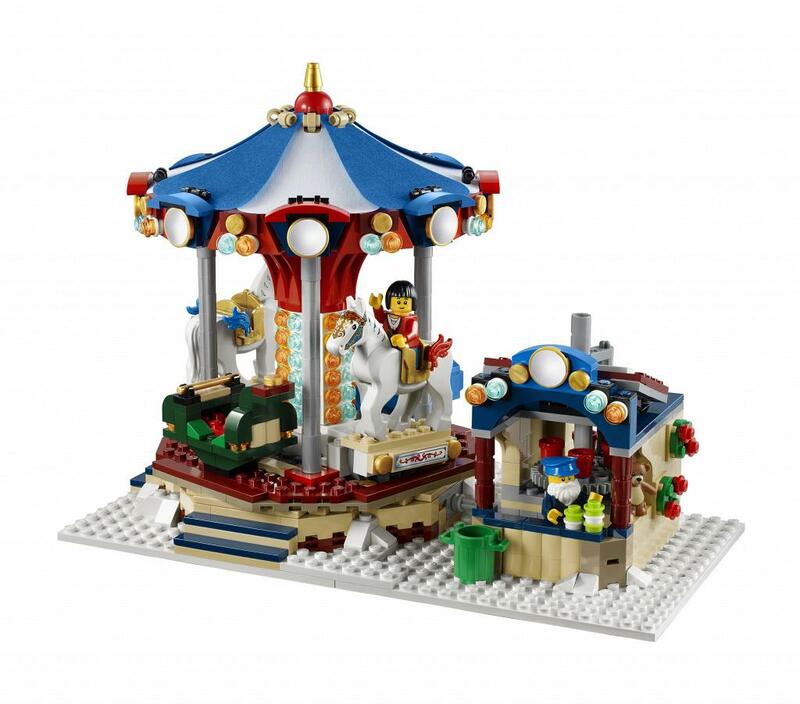 Turn the handle and take a ride on the rocking horse as the carousel spins! 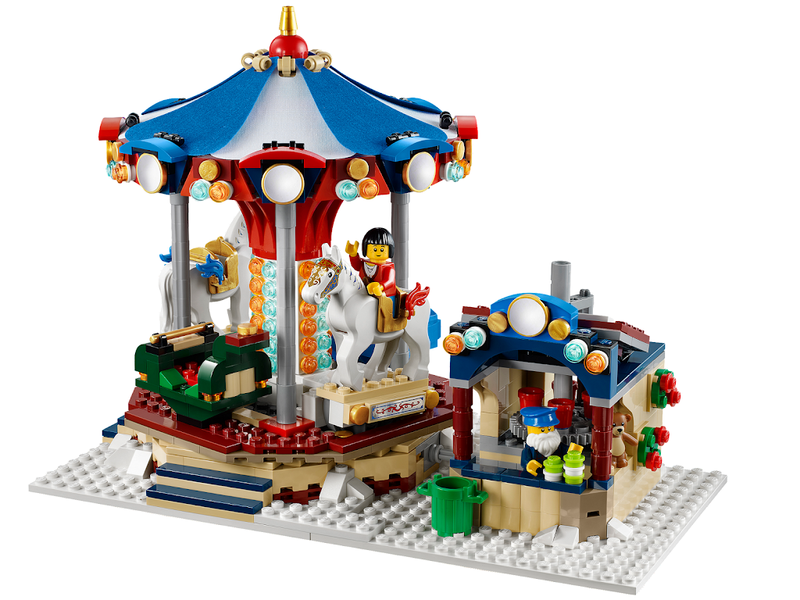 Visit the carnival booth. 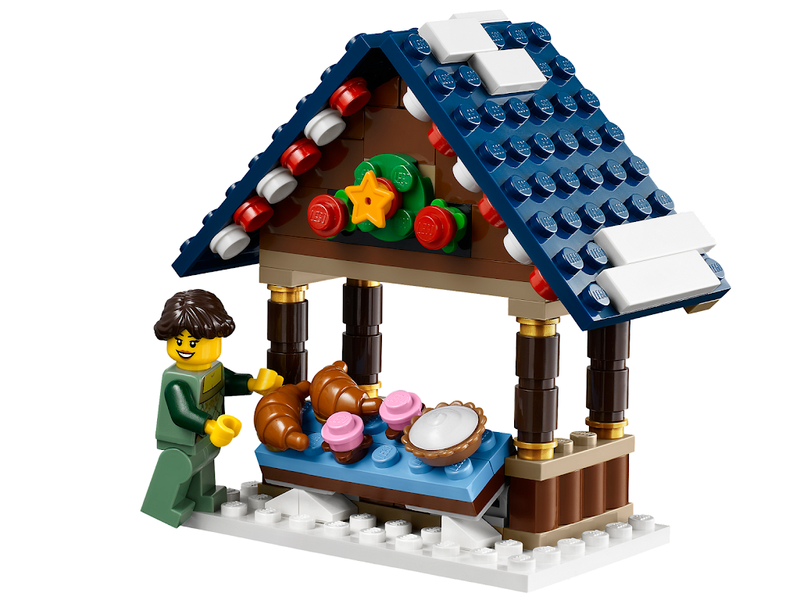 Fill up on holiday and fair favorites including a pie, pretzel and croissant at the baker’s stand, chicken and sausage at the grill stand or sweet treats at the candy shop. 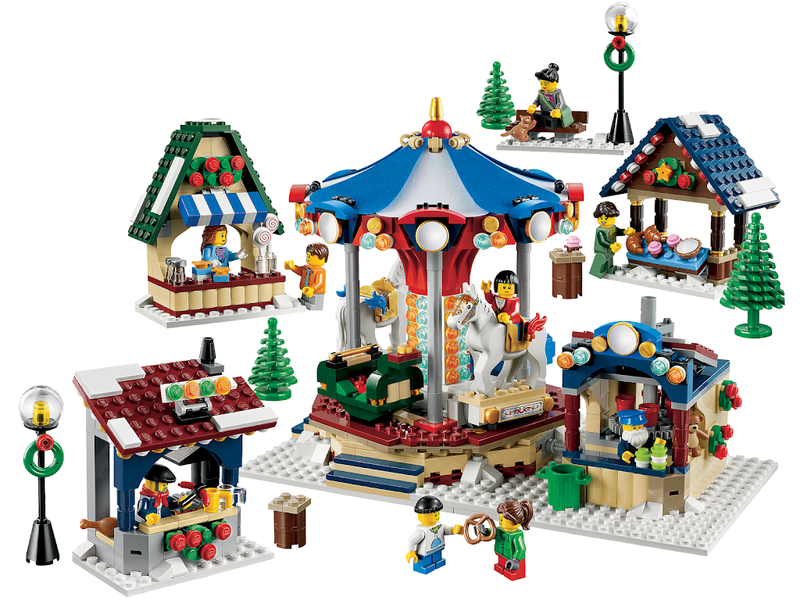 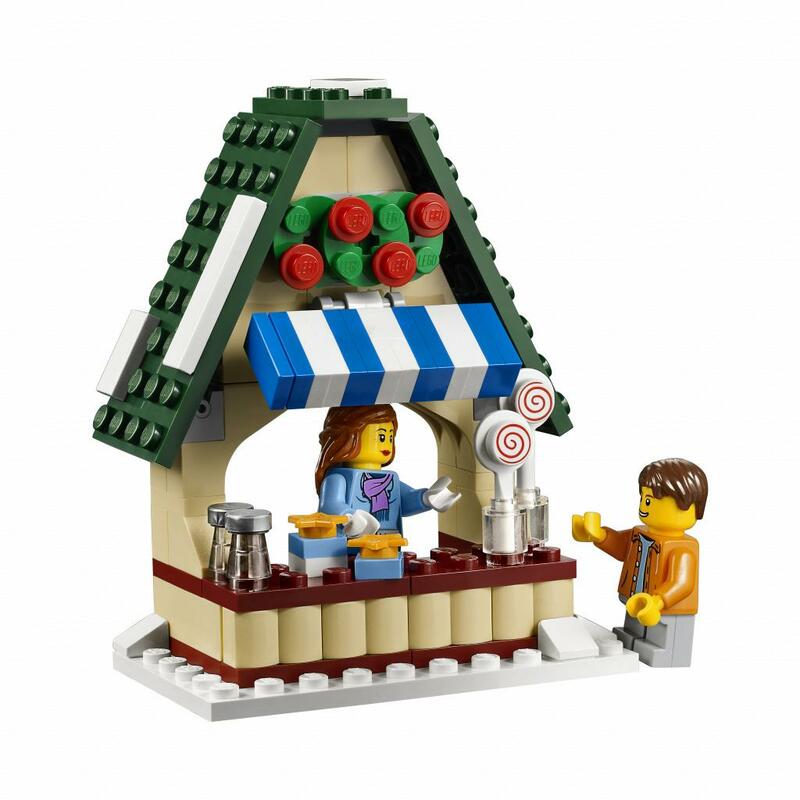 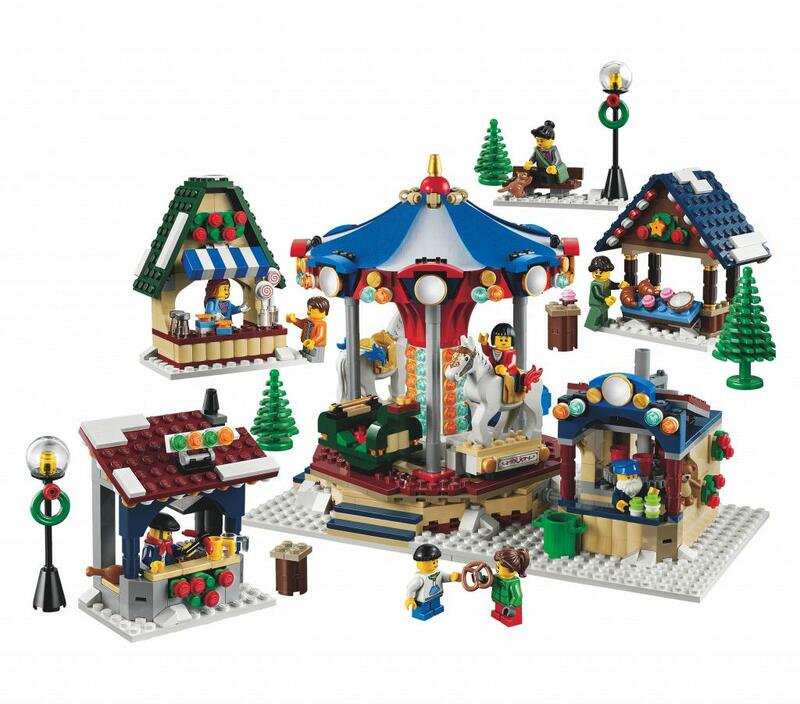 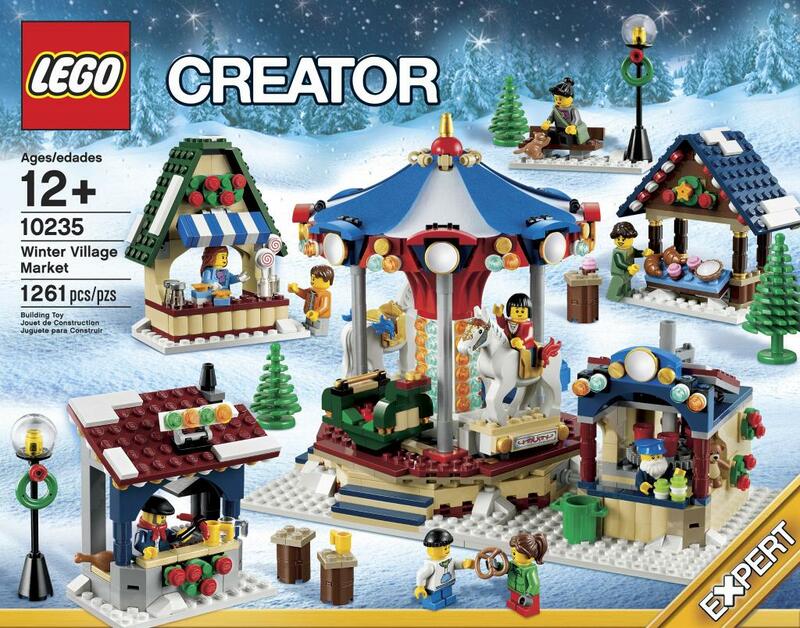 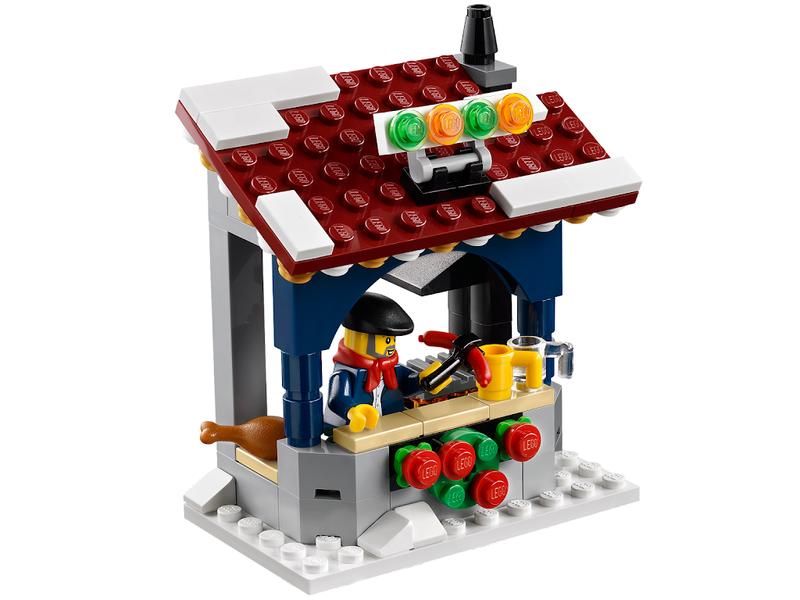 Celebrate a holiday season full of traditions and building with the Winter Village Market! 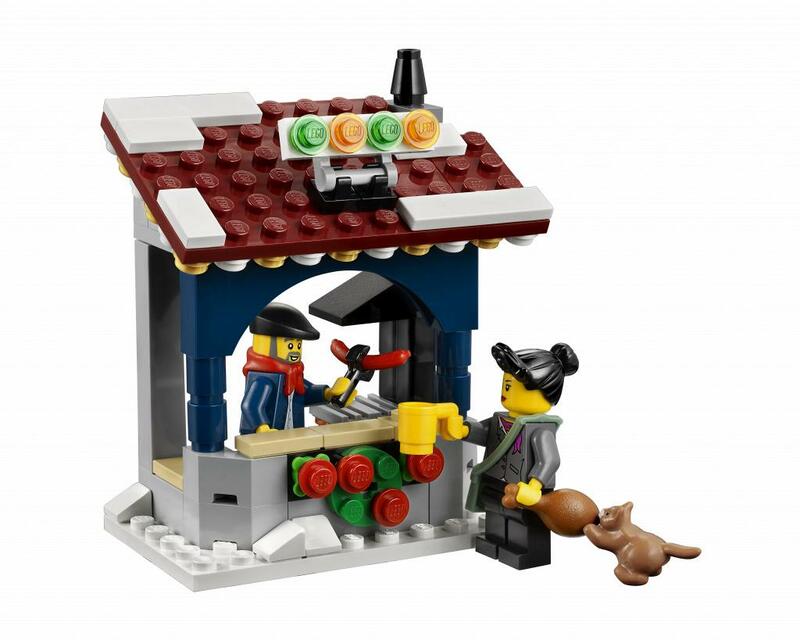 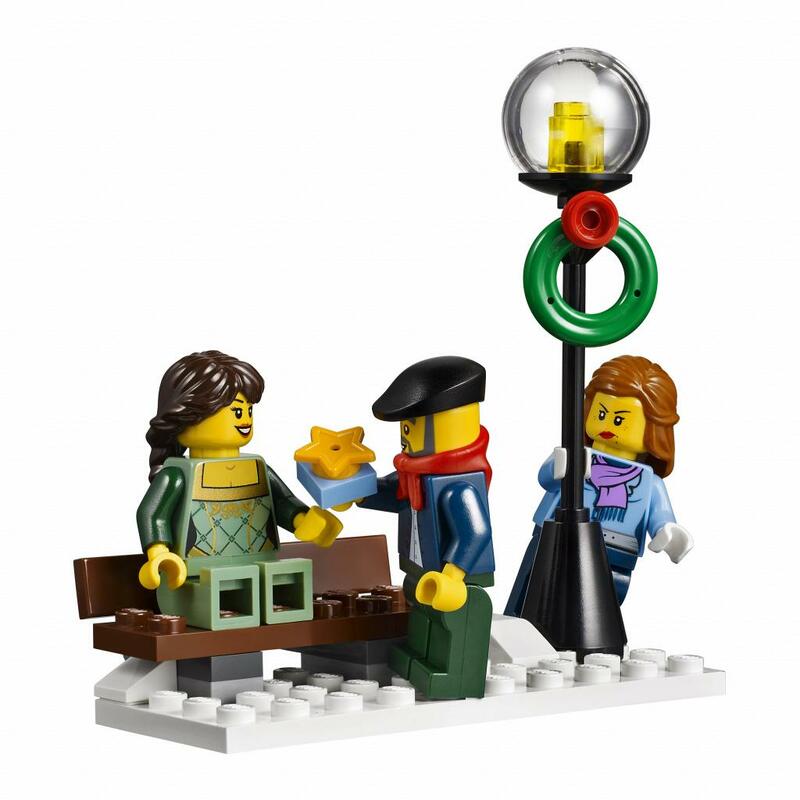 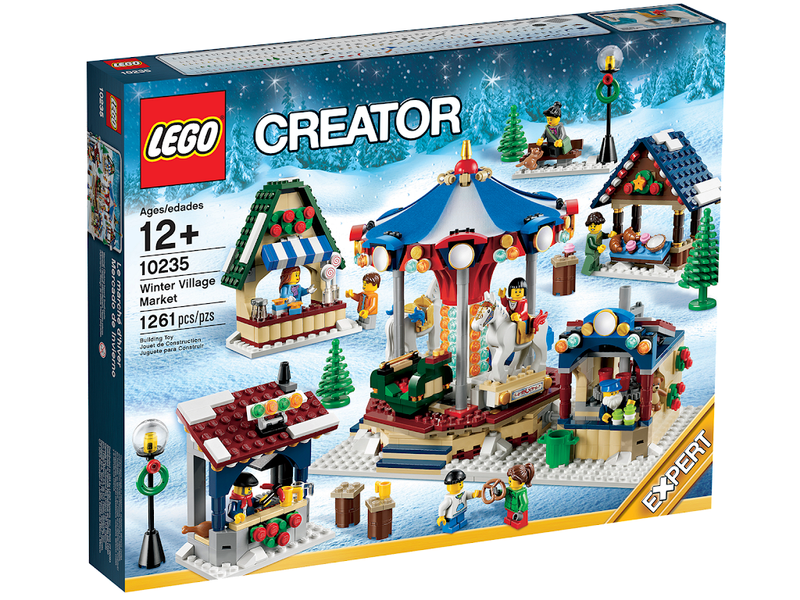 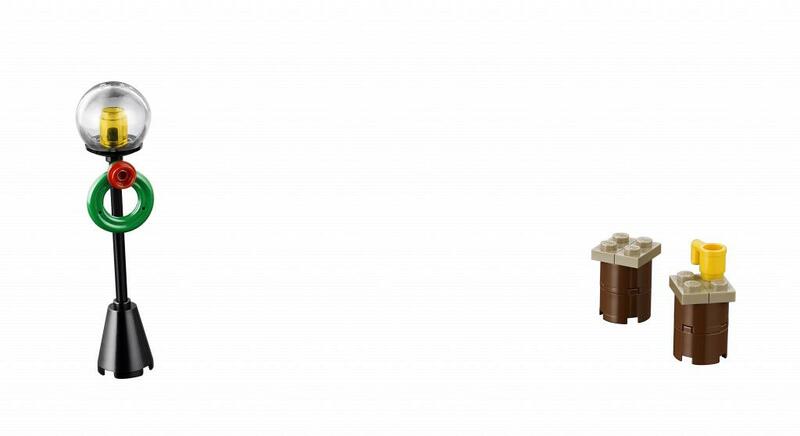 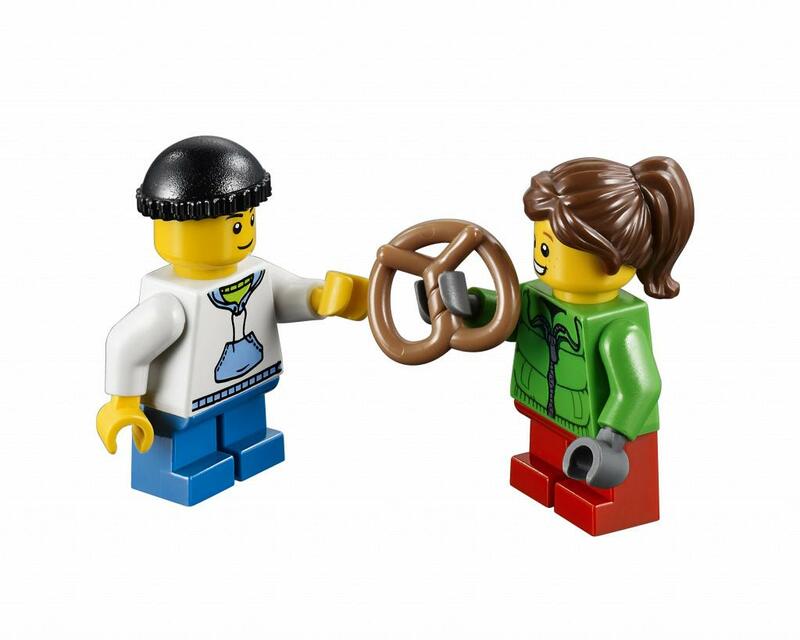 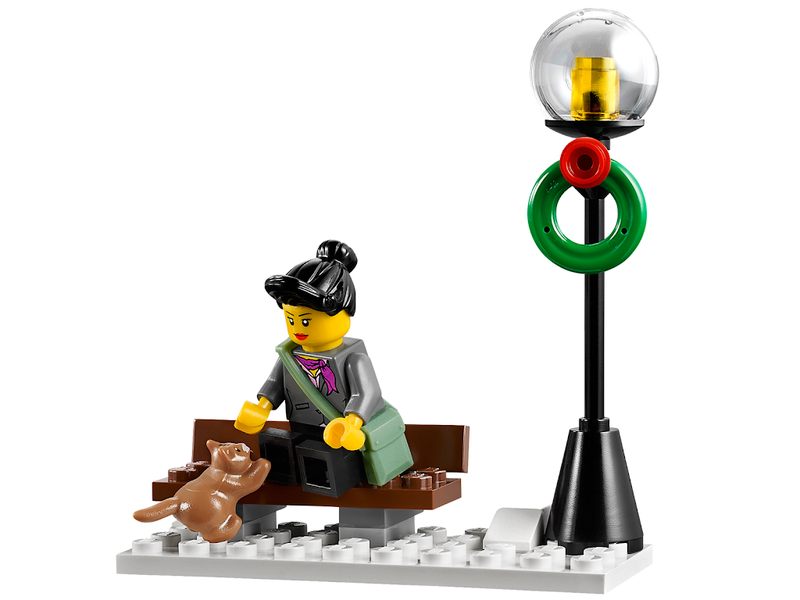 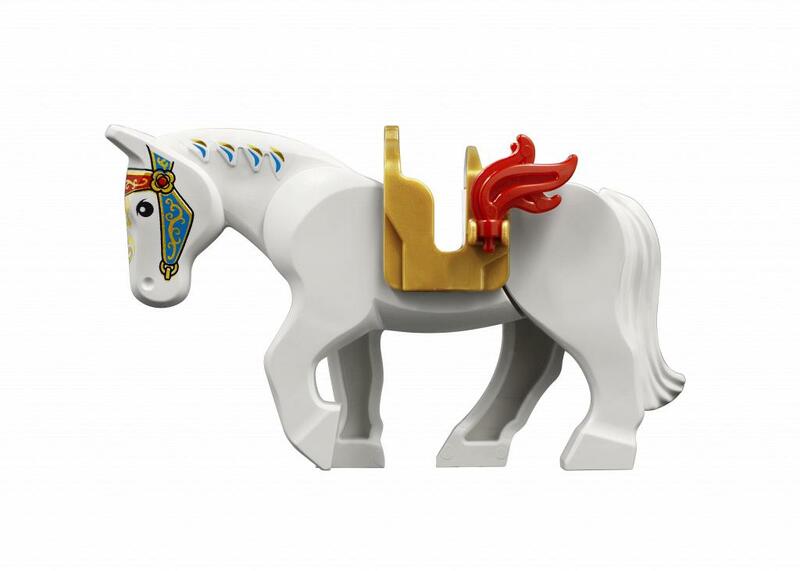 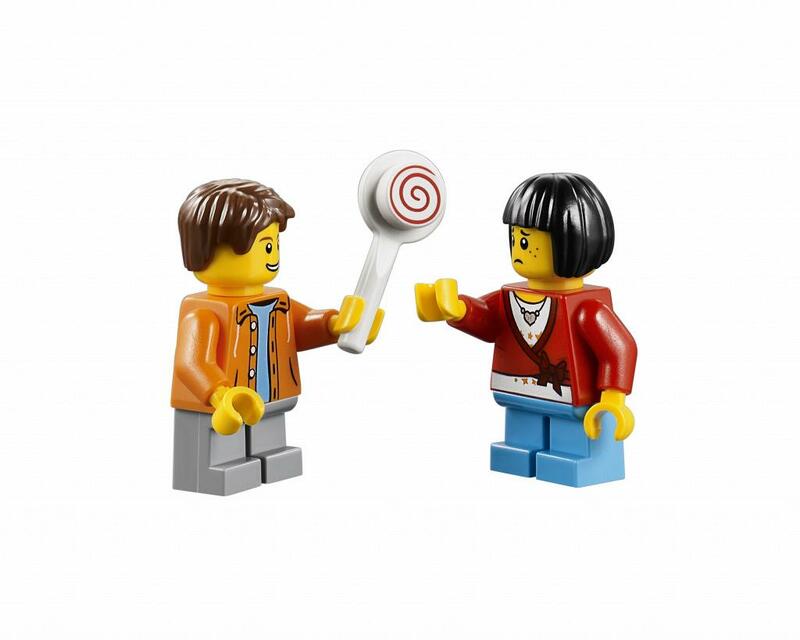 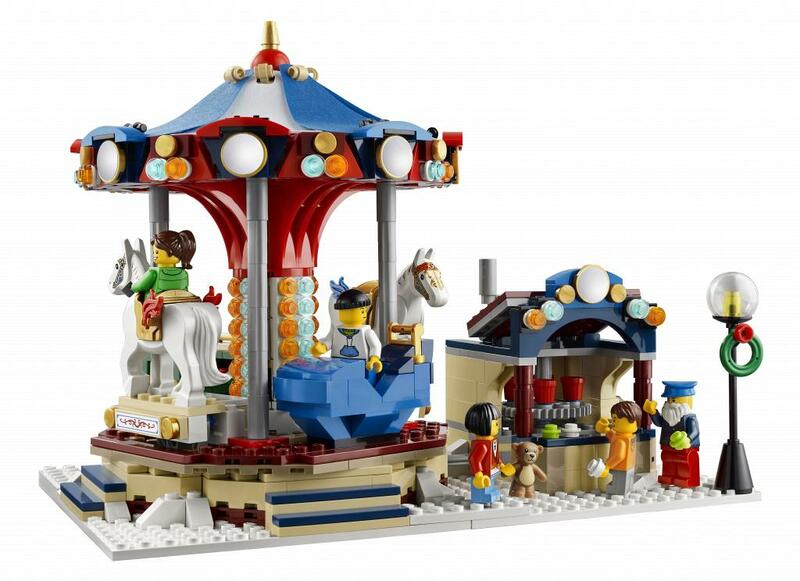 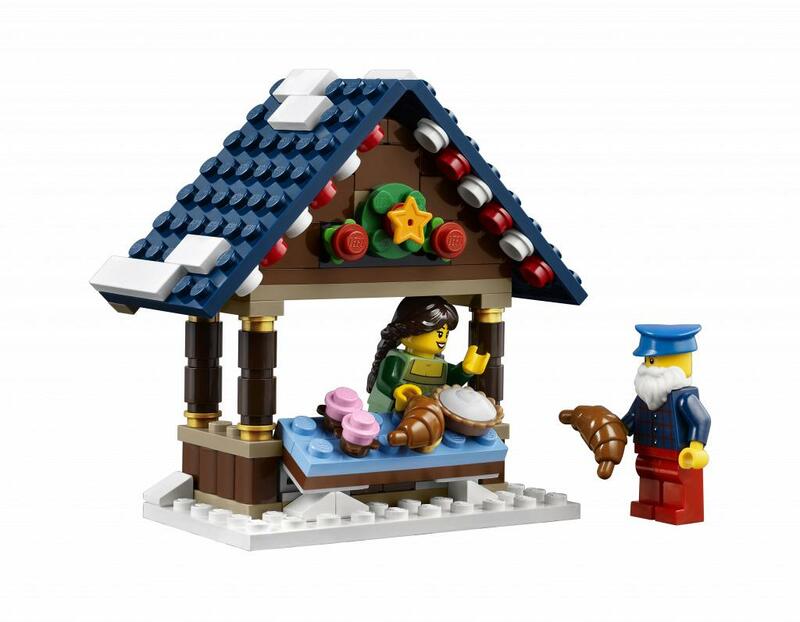 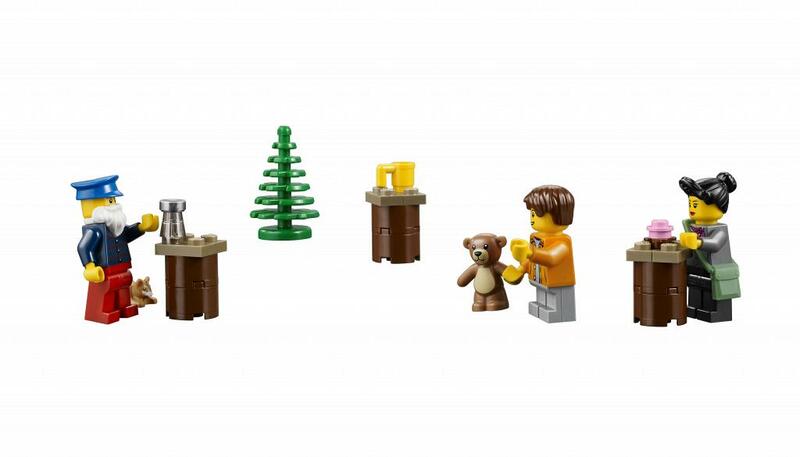 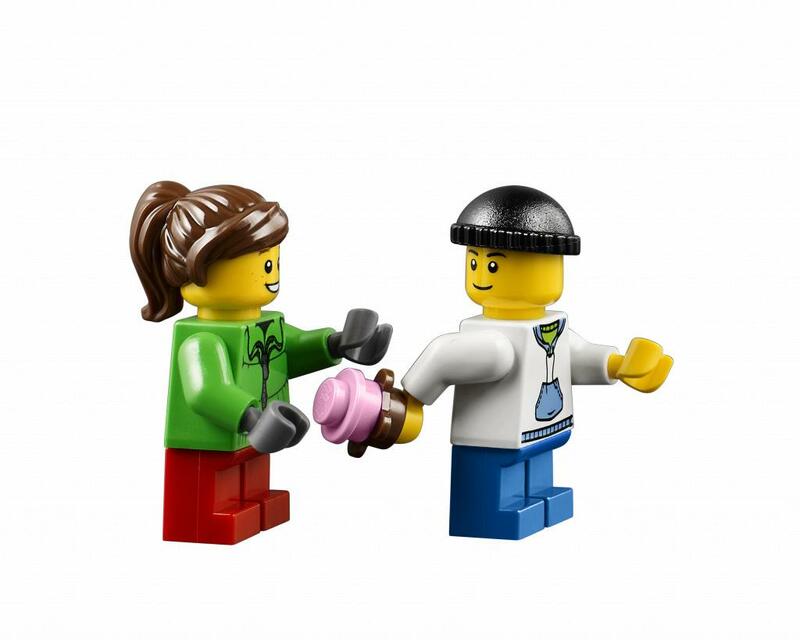 Includes 9 minifigures with accessories: 3 females, 2 males and 4 children.